The beginning of 2013 will mark the final death of what’s probably the worst metric a part of the SEO industry ever used – ranking positions. Part of the industry learned to let go of this metric long time ago for two reasons. As Google started introducing more and more personalized SERPs, it became impossible to hand a report to client saying “You’re Number X on Google for keyword xyz”. The ranking position as a metric was wrong thing to focus on as it didn’t have a direct impact on the bottom line. Back in 2009, I wrote a post “This is why SEO ranking reports are useless“. I remember getting heavy critique for it on UK Business Forum as some SEO companies just wouldn’t let go of this terrible metric. They did things the same way for years and now someone told them it’s wrong way of doing things, they attacked me with everything they had. One of them even asked moderator to remove the entire discussion as it was “insulting”. So, the year is 2009 and I’m arguing that you can no longer give a report to your client with ranking positions of their targeted keywords in SERP each month. There were things like geo-position, search history and more to consider. It’s the end of the 2012 now, and SERPs pretty much look different for each user of Google. Things like Goolge+ started influencing what shows up where. We have 7, 9, 10 result SERPs, different Google “gadgets” are creeping in the organic search listings and taking valuable real estate. Being number X on Google no longer means anything. Why 2013 marks the final death of ranking positions as an SEO metric? In a recent post, Patrick Keeble – CEO of Raven wrote about one of the hardest decisions he and his co-founders had to make. They are shutting down one of their most popular products – the SERP Tracking Tool that allowed SEO agencies to create reports for their clients showing their position in SERPs for a given keyword. For me and one part of the industry, this metric was dead for a long time now, but for a part of our industry, this move by Raven might come as a shock. How are we supposed to track the sucess of eCommerce SEO campaign if not through ranking positions? If you’re in the eCommerce business it’s really easy for you. Let the SEO company concentrate on bringing as much sales as they can through organic search and that’s it! Instead of measuring rankings for individual keywords, look at your organic traffic as a whole and measure how many sales it brings. As always, don’t look at just last interaction sales but look at multi-channel funnels. The more sales you gain from organic sources, the better job your SEO company is doing. I could not agree LESS. It is a known and reported fact, from Google no less, that higher ranking organic search urls get MORE traffic. This counterbalanced approach is a blowback from people to the invariable fact that it is too competitive already. Those who read anyone that says serp tracking is dead, know that is what they want you to believe…but is not likely their own stance. The metric is critical for the success of a company, and failure to use this on the part of an SEO is failure of that SEO. Why do you think Google themselves include this very metric in their webmaster tools report? 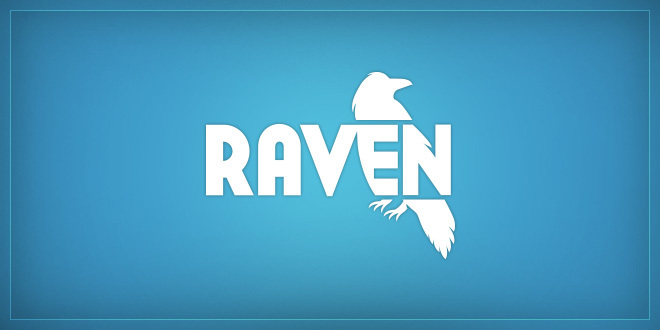 As for Raven, they are very lucky they have the user base they already have. Asinine assertions that make people feel good are no less asinine.